* It repair Exchange EDB to PST File. * Instantly recover EDB to PST outlook file. * It works on EDB file version 2010. 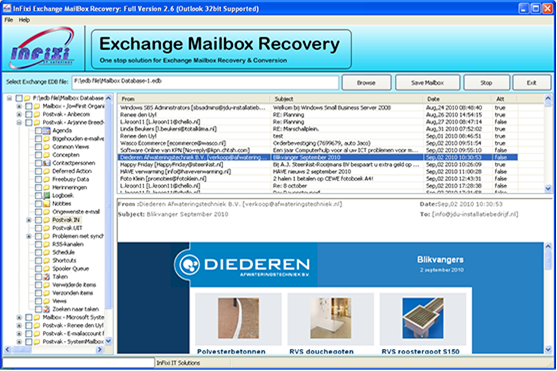 * Restore Exchange EDB to PST. * By demo you can Convert EDB to PST at free of cost but to restore EDB to PST you can download full version of our software at USD 249.95.